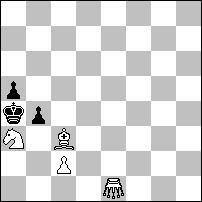 Welcome to Jaroslav Stun's Chess problems database. 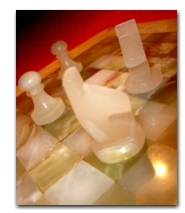 We hope that you will be able to find here as many chess problems as you like, and that you will enjoy your visit. 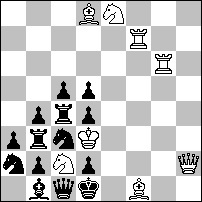 The content here gets regularly updated, as new original problems of Jaroslav Stun are published in various chess magazines and webzines worldwide, so check back from time to time. 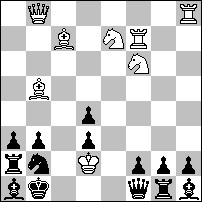 You will be able to find more than 200 original chess problems created by Jaroslav Stun, the chess composer from Snina, on this site, organized into user-friendly database. 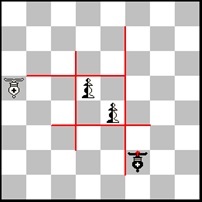 Primary focus of Jaroslav Stun's compositions lies in Fairy chess problems, but there are also multiple problems from other categories, mostly helpmates and orthodox problems. 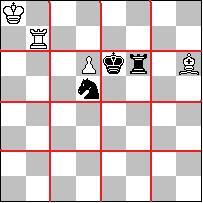 If you like what you have found, you can save your search results as MS Word document, or you can print nice Chess problem sheet immediately. To recieve a direct feed of problems published on this page, please feel free to subscribe to our RSS channel. That way, you won't miss a problem, published here. Althought we try to make your experience on this site as smooth and straightforward as possible, should you have any notices regarding page's content or should you experience any difficulties, don't hesitate to contact administrator. 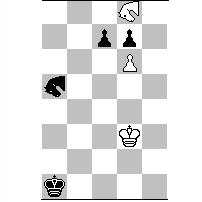 Internet Chess Clubs chess. Serious fun!